John Dortmunder literally steals a bank guarded by the Continental Detective Agency, from Dashiell Hammett’s Continental Op stories. Since the Op is in the CU, so is Dortmunder. 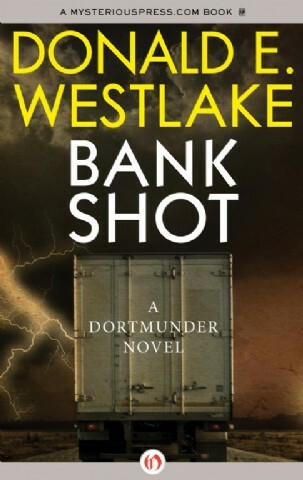 The guards would pop up several more times in the Dortmunder series. 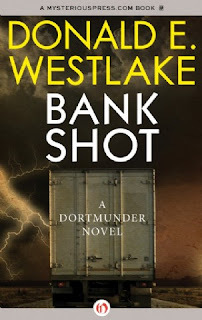 It's worth noting two of the Continental guards are named after Lawrence Bloch and Brian Garfield, Westlake's friends and fellow writers. Also, forgot to mention, there was a Lupin the III episode that involved his crew stealing a bank in a similar situation. Though it also involved a man and a woman robbers who thought they were the reincarnation of Bonnie and Clyde. And it was extremely cartoonish even for Lupin the III.